Dealers looking to drive performance and optimize their automotive advertising efforts across Canada can now take advantage of in-market car shopper data and behavior insights from autoTRADER.ca. in a new way. TRADER Corp. announced Monday the national launch of TRFFK powered by autoTRADER.ca, following a successful debut launch in Quebec at the end of last year. 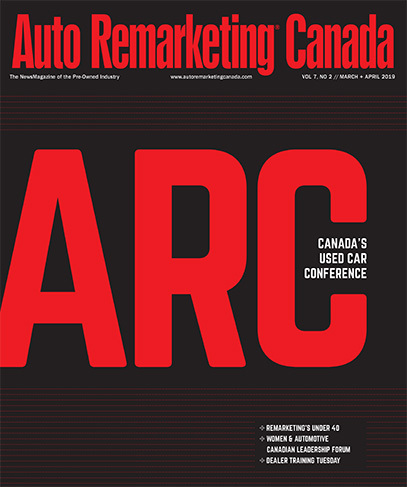 With an estimated 85 percent of Canadian car shoppers using autoTRADER.ca, the company said, TRFFK allows dealers to capitalize on an array of behavior insights to power local digital advertising campaigns. “At TRADER, we work in partnership with our dealers, to create products that best serve their evolving business needs,” TRADER vice president of product commercialization Jill Hadfield said in a news release. “One thing we heard loud and clear from dealers was they wanted a truly Canadian offering with the most qualified in-market consumer data and they just weren’t getting it from other providers or third-party offerings. TRADER said by using proprietary autoTRADER.ca in-market car shopper data, it can ensure dealers that ad buys are focused on actual in-market regional car shoppers, as opposed to relying on data aggregated from North American online behavior. TRFFK is designed to measure both quantitative and qualitative consumer engagement to provide fully customizable campaigns that target consumers who are in-market for a vehicle. Dealers can choose to strategically place ads, target or recapture consumers at any stage the shopping process.The solution can optimize ads across several locations that cater to an intended audience of in-market shoppers. “TRFFK is an absolute game-changer for our dealer partners,” added Hadfield. “Coming out of a highly successful launch in Quebec, we’re excited to be able to bring this full-service offering to dealers across Canada. Data collected from TRFFK’s initial launch shows that dealers who employed the platform reached two times more consumers than advertising campaigns powered by their website data alone, or one single channel, according to TRADER. Early results also indicate that car shoppers were four times more likely to click on a dealer ad managed on the TRFFK platform.